Three of my favorite dishes at Thanksgiving, besides the turkey, of course, are mock mashed “potatoes,” cranberry orange relish and crustless pumpkin pie! Keep in mind, however, that these haven’t always been my favorite dishes. But a couple of years ago, when the hubster and I decided to host Thanksgiving at our house, we wanted to do a healthier version of Thanksgiving. And, I think we accomplished it. We have tried several different healthier dishes, but these three have become my favorite. And because of that, I thought I would share the recipes with you! All of these are Weight Watchers recipe and definitely PointsPlus friendly. If you decide to make them, I hope you enjoy them as much I do! 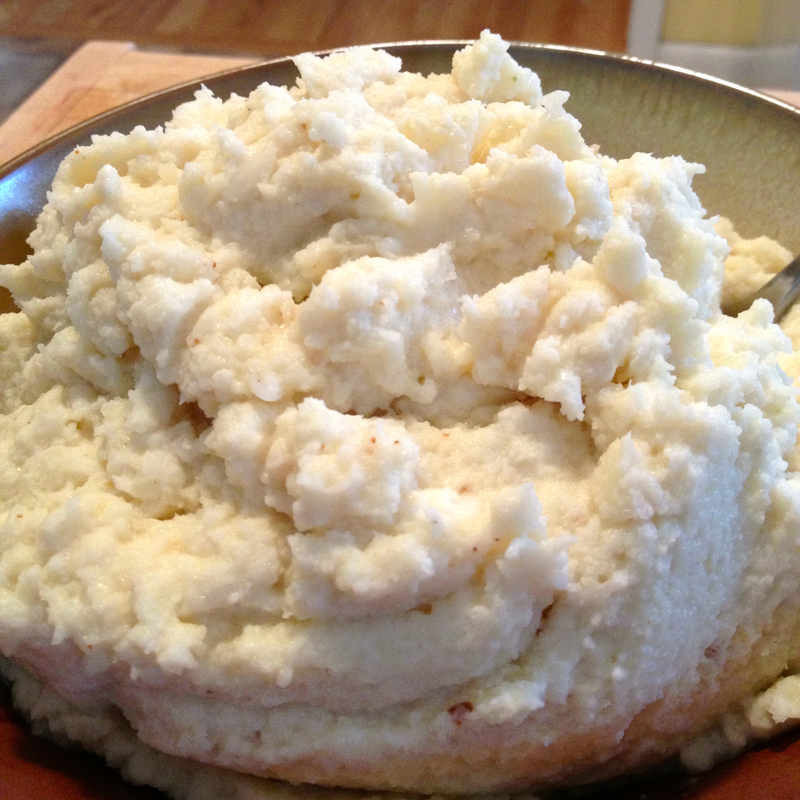 This looks like real mashed potatoes, doesn’t it. But, it’s not. It’s……….cauliflower! Little story about this. My husband hates cauliflower. HATES IT! Will not eat it. However, last year when I made these, he actually tried them and even went back for seconds. Yes, they are THAT good! Steam your cauliflower until it’s done. You can roast it in the oven if you like, but I just steam mine in the microwave. You want it done. 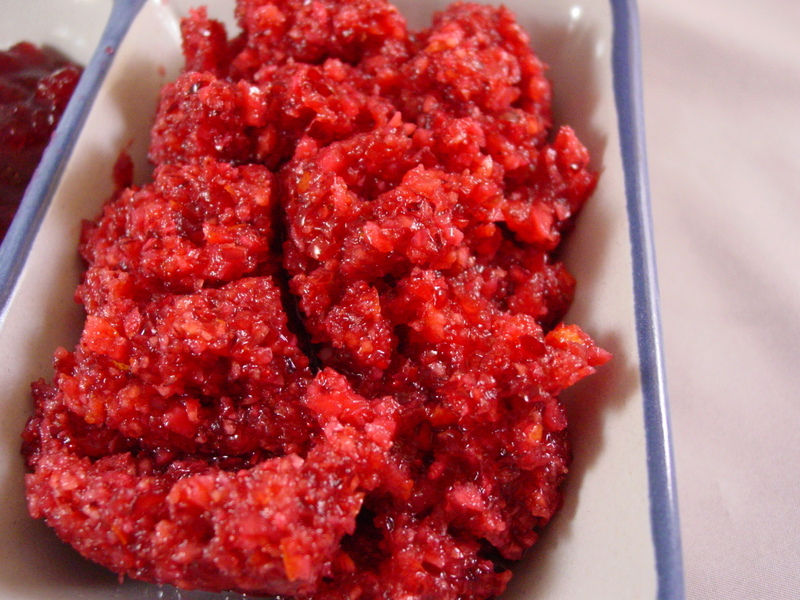 Then, toss everything in a food processor and process until smooth or desired consistency. I like mine a little lumpier! The whole recipe comes to a total of 3 PointsPlus Values! And yes, I have eaten the whole batch myself for supper a few times. *Not my photo. I took it off Cooking D’Lites website. I usually have to make a double batch of this because my mom and I just devour it. It is seriously so good. It is fresh, light, tangy and just pure awesome! It goes great over your turkey. YUM! Put all the ingredients in a food processor and pulse until finely chopped. Cover and refrigerate until ready to use! You can make this relish up to 5 days in advance. It makes about 3 to 4 cups and a serving size is 1/4 cup. The PointsPlus value per 1/4 cup is only 1. I am not really a fan of pumpkin pie (yes, I know, that’s weird! 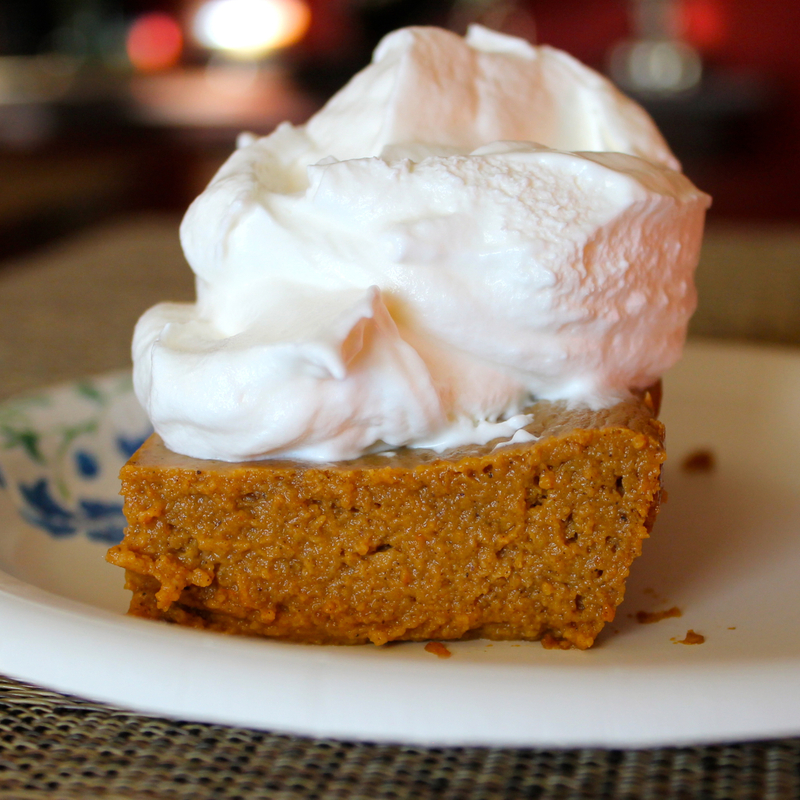 ), but this crustless pumpkin pie is THE BOMB! Is has so much flavor. And it is so light. Yummers in my tummers! Preheat the over to 400ºF. Combine all ingredients in a medium-sized bowl and mix together until smooth. You can use a hand or regular mixer if you would like. Pour into a 9-inch pie plate. Bake at 400ºF for 15 minutes and then turn the oven down to 325ºF and bake for another 45-50 minutes. The pie is done when a knife inserted in the center comes out clean. If you cut the pie into 8 pieces, the PointsPlus values for each piece is only 2! You can have two pieces if you would like! If you serve it with fat-free Cool Whip, don’t forget to count your points for however much topping you use. 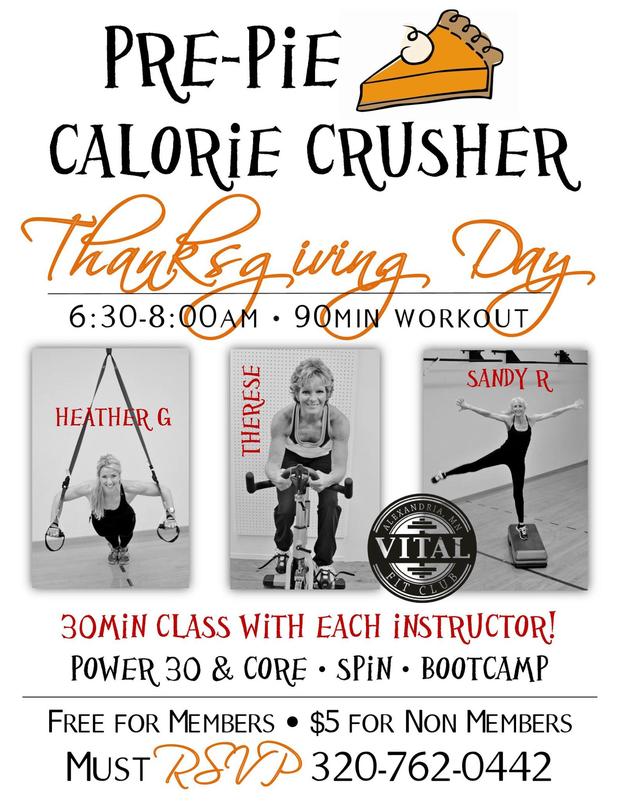 And remember, if you are in the Alexandria area, please feel free to join us at Vital Fit Club for the Pre-Pie Calorie Crusher! But remember, you have to call to reserve your spot! Call now – (320) 762-0442!